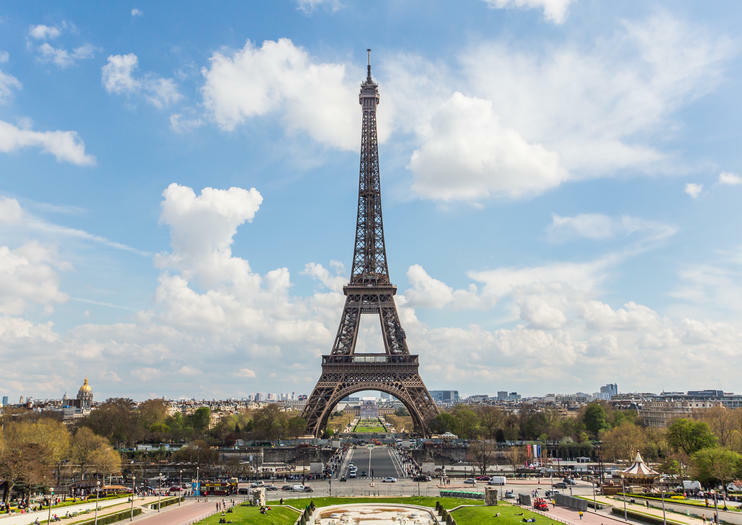 Three days in Paris is ample time to visit world-famous museums, sample culinary delicacies, discover the Seine riverbanks, and see the city’s other top attractions. It also lets you travel beyond the city limits—Versailles, the Loire Valley, and other popular destinations are all within day-tripping distance. Here’s how to plan the perfect 3-day Parisian stay. From its cathedrals and palaces to its monuments and museums, Paris is replete with must-see attractions. Dedicate your first day to discovering the city’s most popular landmarks. Hop-on hop-off bus tours provide a seamless way to explore—climb aboard where and when you wish, and wend your way past sights ranging from Notre Dame and the Moulin Rouge to the Champs-Élysées, Opéra, and Grand Palais. Alternatively, a Seine river cruise or hop-on hop-off sightseeing cruise provides an idyllic way to relax and take in the city’s UNESCO World Heritage–listed riverbanks. Cap off your day with the most classic of Parisian activities: a trip to the luminous Eiffel Tower’s observation deck. Stay long enough to capture photos of the panoramic cityscape, or extend the evening with dinner at one of its on-site restaurants. Spend your second day in Paris enjoying the finer things: the city’s wealth of culture, high-end shopping, and top-notch gastronomy. Dive into the Louvre—the largest art museum in the world—and its collection of masterpieces, including the Mona Lisa and the Venus de Milo. To help focus your visit, consider a Louvre highlights tour. Alternatively, head to the smaller-scale Musée de l’Orangerie, located just across the Jardin des Tuileries, to view Monet’s Water Lilies. Complement your dose of culture with retail therapy when you venture next to the city’s luxe shopping enclaves. The Galeries Lafayette, founded in 1895, remains one of Paris’ most esteemed department stores. Book an exclusive experience to shop at your leisure, enjoy panoramic views from its roof deck, and admire its stained-glass dome. Finally, round out your day of indulgence with a culinary excursion. Sign up for a pastry cooking class, take a food-oriented walking tour, or toast to your trip during a Champagne-tasting session. While Paris offers no shortage of attractions, it’s worth leaving the city for a day to discover the surrounding region. One of the most popular day trips from Paris is to the Palace of Versailles, the former home of the French monarchy. Famously grand and opulent, the palace’s highlights include the chandelier-bedecked Hall of Mirrors and its sprawling gardens. Accessibly located southwest of the city, you can reach Versailles via RER train, private vehicle, or coach, depending on the tour you select. Some full-day tours pair Versailles with picturesque Giverny, a scenic village along the Seine that was once home to Claude Monet. Alternatively, venture to the Loire Valley, where you can visit numerous luxurious, UNESCO-listed châteaux and indulge in internationally renowned wines. Create beautiful lasting memories of your vacation with a 2-hour private photo shoot in Paris. Let a professional photographer guide you toward some of Paris' most gorgeous backdrops or ask him or her to capture candid moments as you venture through the city on your own path. Feel like a celebrity with a photographer on your tail, and receive an email with between 130-150 high-quality images after your photo shoot. It's an especially wonderful way to commemorate a special occasion, but is also a great way to get unique family portraits.